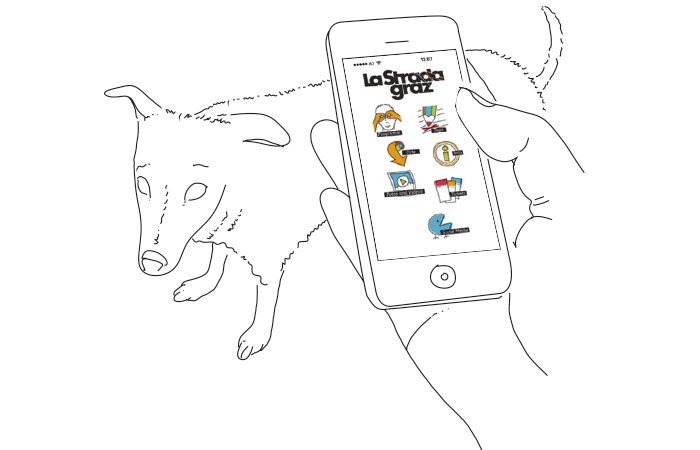 For those who want stay up-to-date on events,we made the La Strada app – download for free! Here you’ll find all the groups and shows, venues and prices, as well as a calendar that shows at a glance what’s happening and where at that moment. You can also order tickets as well as look at photos and videos of the individu- al groups. And, last but not least, here you’ll find the links to all artists’ social media presence. The app can be downloaded for free from the App Store and the Google Play Store.